To see our range of self-cleaning glass with solar-control properties. Click here. 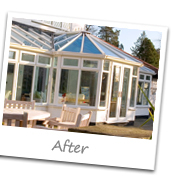 Switching from a plastic roof to a glass conservatory roof one can transform your conservatory in more ways than one. • Creates a brighter environment with natural light, compared to polycarbonate roofs or indeed tiled conservatory roofs with or without skylights. • Helps bring the “outside in”, creating a light filled room that can be used all year round. 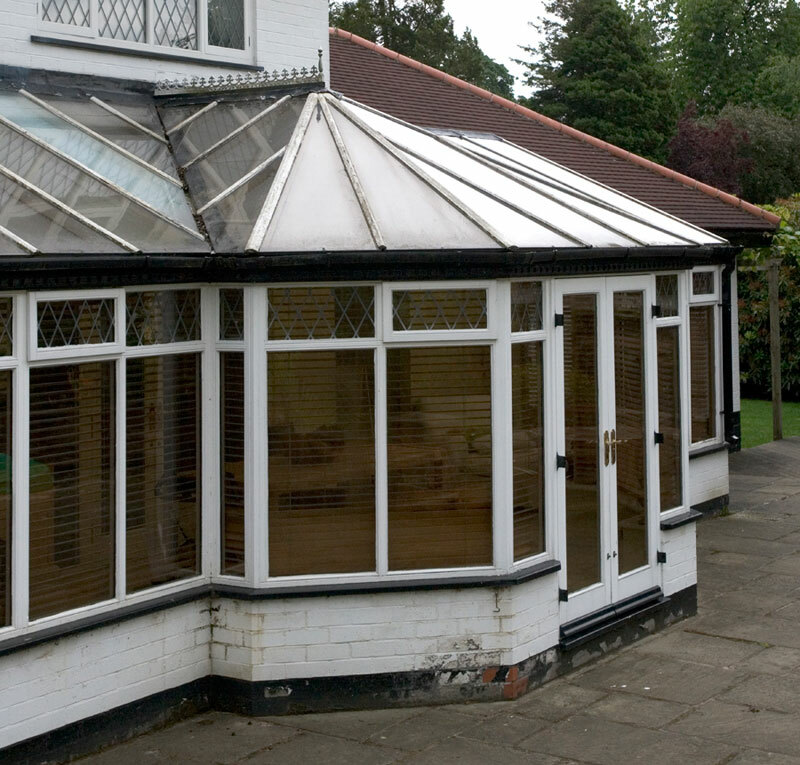 • A glass conservatory roof helps to create an illusion of additional space over and above a polycarbonate roof or tiled conservatory roof. Plastic roofs are not energy-efficient, so you end up paying more for your heating bills – for a room you’re less likely to use because it's uncomfortably cold. By replacing your conservatory roof with a glass conservatory roof incorporating self-cleaning glass with solar control properties from the Pilkington Activ™ range as the outer pane of glass and a low-emissivity glass from the Pilkington K Glass™ range or Pilkington Optitherm™ range as the inner pane, you can reduce your heating bills and create an inviting new space to your home that will be warmer in the winter and cooler in the summer; perfect for use all year round. With a plastic roof, a light shower can sound more like a hailstorm. But with a new glass roof, you might not even notice it's raining. 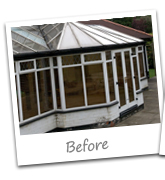 Don't let the rain put a dampener on you spending time in your conservatory. With a new glass conservatory roof incorporating Pilkington Activ™, this bright room can be one of the nicest places to relax in the house. Pilkington Activ™ is the world's first self-cleaning glass. 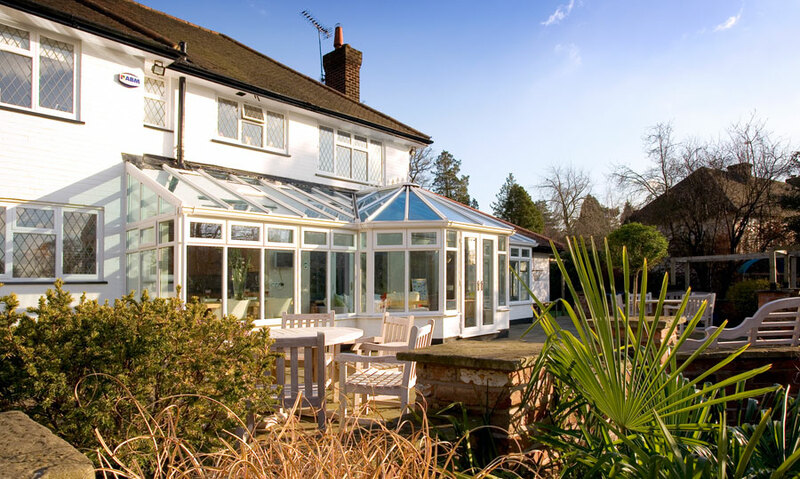 This clever glazing product has a unique dual action microscopic coating, making it ideal for use in conservatory roof replacements or conservatory conversions. • Pilkington Activ SunShade™ Neutral and Blue.